Sometimes you want to create specific advert positions in your theme like having an advert in your footer or header of your page. To do so you can either make use of shortcodes which you can paste directly into your theme template files in corresponding place or you can create a fixed ad spot and register the ad directly into WP QUADS. 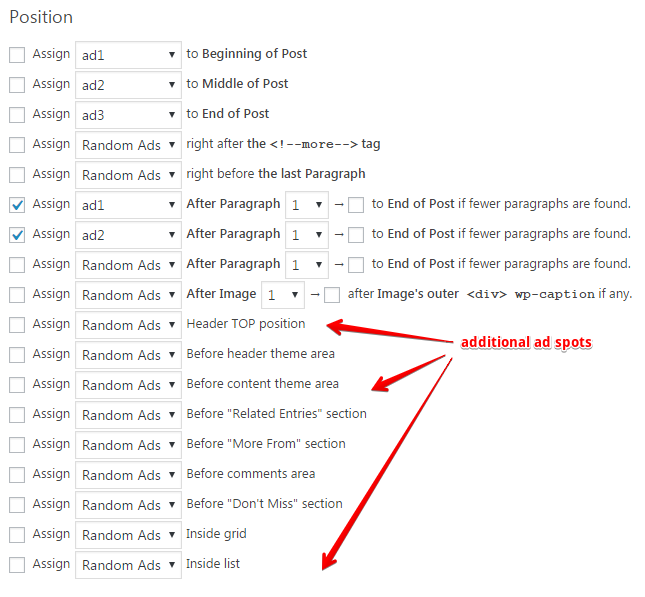 The second option gives you more flexibility as it allows you to change the content of the ad directly from WP QUADS settings. 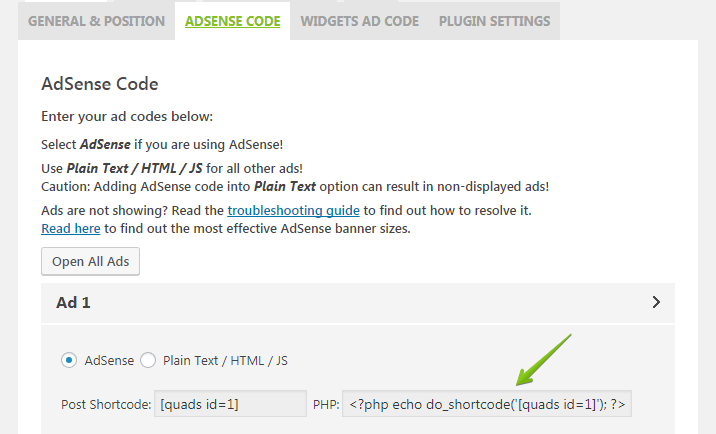 You can enter AdSense code under the tab WP QUADS -> AdSense Code. There you also find the name of the shortcode of an ad. Copy and paste that code into your theme template file in place where you want it to appear. For example, if you want to add an ad to the header of your website you open the file wp-content/themes/yourtheme/header.php and add the php shortcode at the place you want the ad appearing, e.g. In this example we want to place an ad into the header and footer of our site so we are going to edit the files footer.php and header.php. Use the code below and place it where you want to show a custom WP QUADS ad position on your web site. Here we use the header ad spot.